“Capitol Forest is a "working forest", so course revisions are possible to accommodate the "work". For updates please check here and at Capitol Peak 50mile/25K website!. COURSE DESCRIPTION AS OF November, 2017: Both the 50-mile and 25K start and finish from Falls Creek Trailhead. 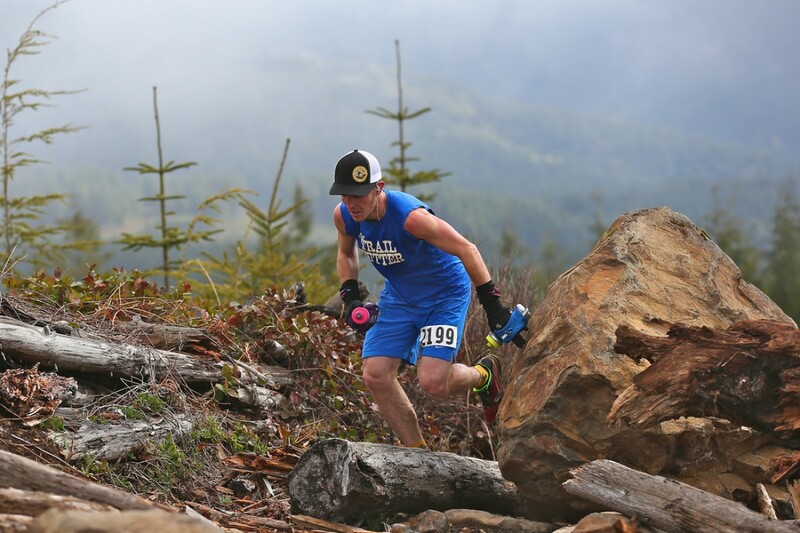 The race will feature some of the most rugged and serene single track trails and grinding sections of gravel road, and, depending on toss-of-the-coin for weather in April, spectacular views. With 2,730 feet of elevation gain in the 25 k, and over 6700 feet of elevation gain in the 50-mile, you will work to earn your finish. The 50-mile will include not just one, but two ‘peaks’ or summits (Capitol Peak and Larch Mtn), to gaze from, and a cumulative 25 mi., out and back on the Porter Trail. The 50 mile will feature 7 aid stations. The 25 k will have 3 aid stations. Both the 50 mile and 25K, will complete the course on a 7-mile, serene, descent from the Wedekind aid station to the finish at Falls Creek Trailhead.